Graffiti has been around since Roman times, and it shows no signs of going anywhere any time soon! At Rawlins Paints, we understand the challenges presented by removing graffiti from difficult surfaces, such as bare brick, previously painted or protected surfaces and decorated walls. Removing graffiti isn’t always as simple as it looks, particularly if you’re concerned about damaging the surface beneath. We offer a range of cleaning solutions to remove graffiti quickly and safely, for use on interior and exterior surfaces. From Rust-Oleum, this is a paint stripper for the quick removal of old paint and is intended to remove all types of oil and alkyd based paints, emulsion paints, varnish and most two-component materials from metal, mineral and wooden substrates. Thermoguard Thermostrip PRO is a water-based, low odour gel for removing all types of water and oil-based coatings including adhesives like carpet glue. 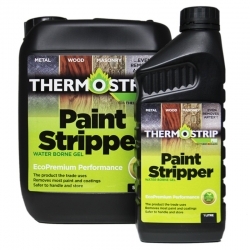 For professional and DIY use, there is no safer, more effective stripper on the UK market! Thermoguard Thermowash is a water-based, low odour solution to neutralise and remove residues after treatment with Thermoguard Thermostrip PRO. A specially formulated cleaner for removing graffiti from surfaces pretreated with Rust-Oleum GraffitiShield Hydro, Rust-Oleum GraffitiShield Polycoat and Rust-Oleum GraffitiShield Nano. Effective in minutes, universally effective, suitable for use in closed spaces. 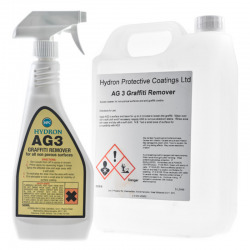 A gel that can be used to remove graffiti from surfaces that have been protected with Pegagraff Hydro or to clean non-painted substrates that have been contaminated with graffiti, like for instance marble, smooth concrete, metal and non-porous materials. We provide products to remove thick paint, spray paint, adhesives, marker pen, aerosol and more, and from every kind of surface you can think of, including porous and stubborn surfaces. We also provide graffiti removal products for surfaces that have a graffiti protection coating and need a compatible cleaner. For walls and surfaces that have already been protected with Pegagraff Hydro, Mathys Pegagraff-Hydro Cleaner is a gel that can be used to remove graffiti. 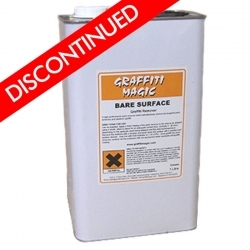 It can also be used to strip graffiti from non-painted substrates like concrete, nonporous material and metals. 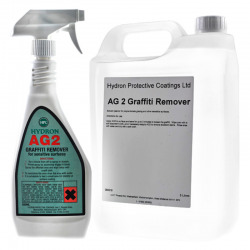 Like a lot of graffiti removal products, Pegagraff-Hydro Cleaner shouldn’t be used on surfaces that haven’t already been protected by an anti-graffiti coating, or on porous materals, such as brick and plaster. For the right surfaces, Pegragraff is quick and easy to use – all you need to do is make sure the area is well ventilated, apply the cleaner and let it stand for three minutes before removing with a soft or hard brush, depending on the condition of the surface. Alternatively, Blackfriar Professional is a graffiti removal gel that works on all kinds of different graffiti, whether it’s written with aerosol spray paint, permanent marker or normal paint. It works specifically on external surfaces, including brick walls, concrete and natural stone. Our Graffiti Remover (1401) is super easy to use and can remove graffiti from lots of different surfaces quickly and safely. 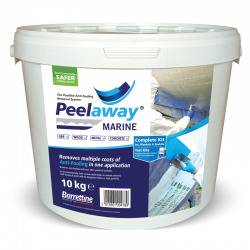 Use on bare or previously painted surfaces, including brick, render and wood. We also advise coating with our Clear Graffiti Coating (1301) after you’ve cleaned the graffiti off, to prevent it happening again. 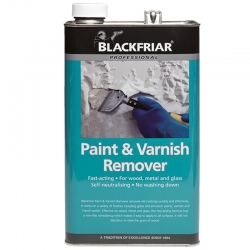 Blackfriar Paint and Varnish remover is another easy to use graffiti removal product that doesn’t need washing off after use, unless you want to repaint the surface with emulsion. 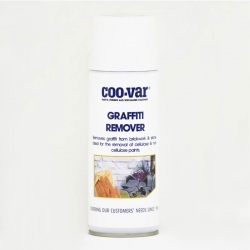 It works fast and easily removes layers of paint without leaving discolouration behind and is perfect for removing graffiti from metal, wood and glass, making it a really diverse and useful product. 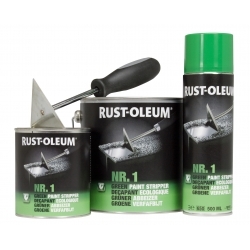 To strip old paint, including graffiti, use Rust-Oleum Nr 1 Green Paint Stripper. 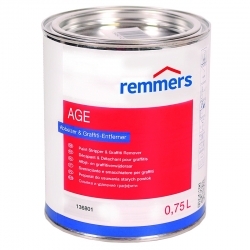 Developed to remove all types of paint, including emulsion paint and varnish, it works on lots of surfaces. It’s environmentally friendly and is formulated as a graffiti removal foam so it can reach into lots of nooks and crevices. It’s available in different aerosol sizes so it’s easy to spray on to the surface to quickly, safely and neatly remove graffiti. We stock various products from Rust-Oleum to deal with graffiti, including GraffitiShield Cleaner. This super-fast acting cleaner can be used in enclosed spaces and simply needs to be sponged off after it’s penetrated the surface of the wall. It should only be used on surfaces that have been previously treated with Rust-Oleum anti-graffiti products, which include GraffitiShield Hydro, GraffitiShield Polycoat and GraffitiShield Nano. When looking for graffiti removal products, you need to take into account the type of surface, the type of graffiti and the ventilation levels that you’ll be working within. Some graffiti removers can also be used as more general paint and varnish removers to help maintain and tidy up various internal and external surfaces.